This post is part of a five part series entitled, "Why I Thrift," beginning with Why I Thrift, Reason #1: To Save Money. I like to think of myself as a creative person, even though there are so many who have greater talent. This is an additional reason that I like thrifting. By it's very nature, thrifting encourages creativity. You find things you weren't expecting, learn to use finds in creative ways, and generally be creative in finding, using, or re-purposing your finds. 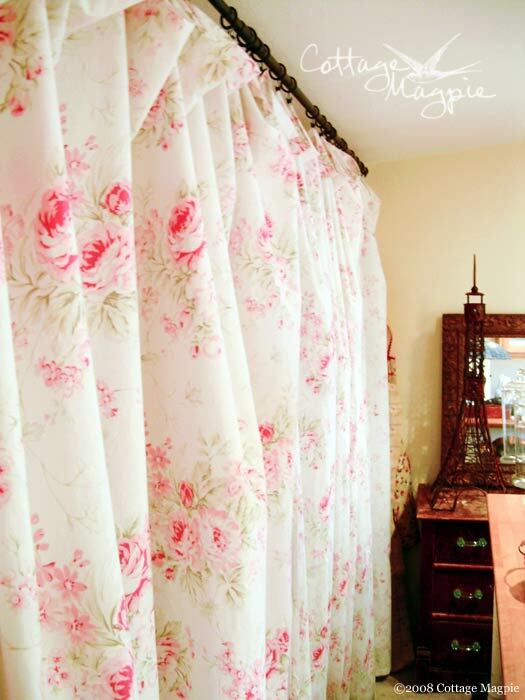 For example, I was shopping one day and found these adorable floral shower curtains. 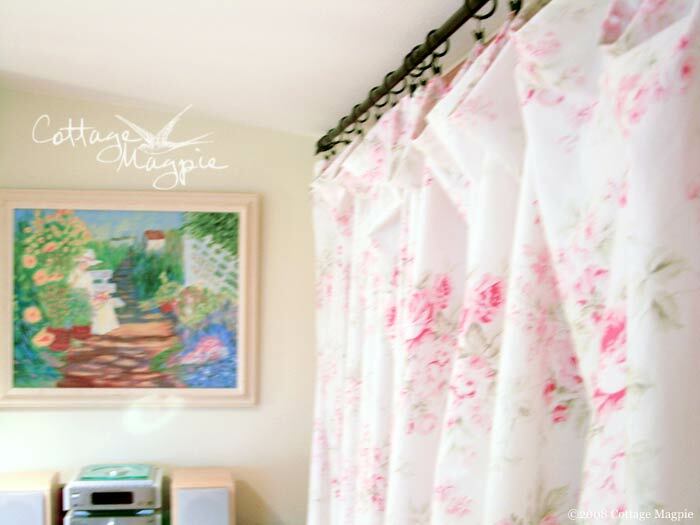 They looked so charming and full of cottage style, but I didn't have any need for shower curtains. I couldn't pass them up, so I brought them home. When I got home I realized I had the perfect use. 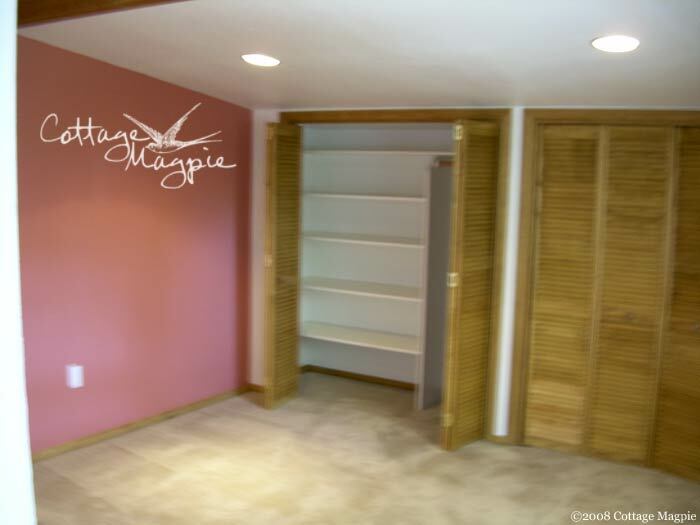 In my studio, I have a wall of oddly short closets with bi-fold doors. The doors were awkward space hogs, plus not very cottage-y, being wood colored. I took them down, hung up a curtain rod ($10 from IKEA) and hung the shower curtains using some clip rings I had leftover from the old house. Voila! Cute, functional and full of cottage style! So the very process of thrifting generates creative thinking. As a result, your space tends to reflect that creativity. In my home, I have green salvaged windows hanging in my entryway. The front room is filled with thrifted finds, but the windows in particular tend to elicit the compliment that I must be quite creative. It's nice for people to notice that. What about you? What thrifted item shows off your creativity the most?